Hi everyone! 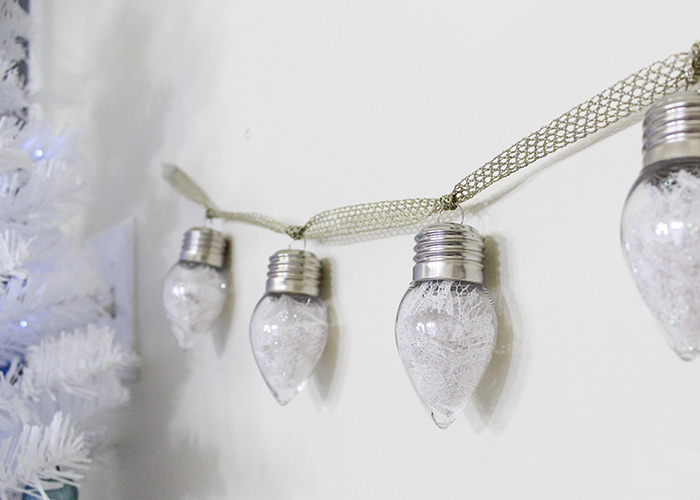 Today I’m sharing how to make this easy Holiday Lightbulb Garland. 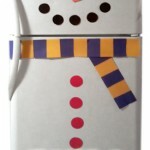 This is a fast project that can be made to match your holiday decorations. 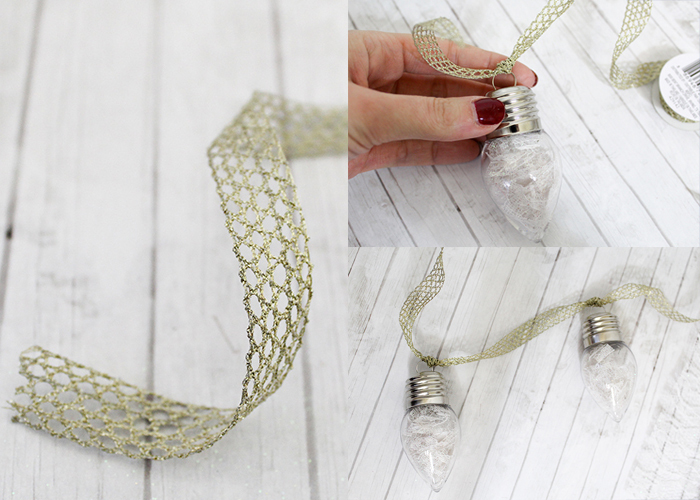 It’s perfect to string on your tree, put on a wall, or even use as part of a photo backdrop! Plastic craft Christmas light bulbs. Glittered lace. 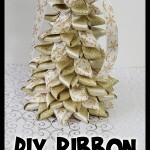 You can also use burlap, tulle, tinsel, or fabric scraps. Start by taking apart your lightbulb. On these particular ones, the silver top screws off and the hanger piece pops out. Next, take your filler material and cut into thin strips, about a centimeter wide. 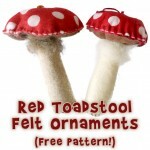 I used glittered lace, but you can fill these with any fabric material that would match your decor. 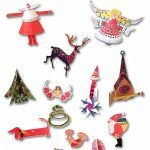 You can even use pieces of tinsel or fluffy Christmas tree garland. Cut about 7-8 strips per bulb. 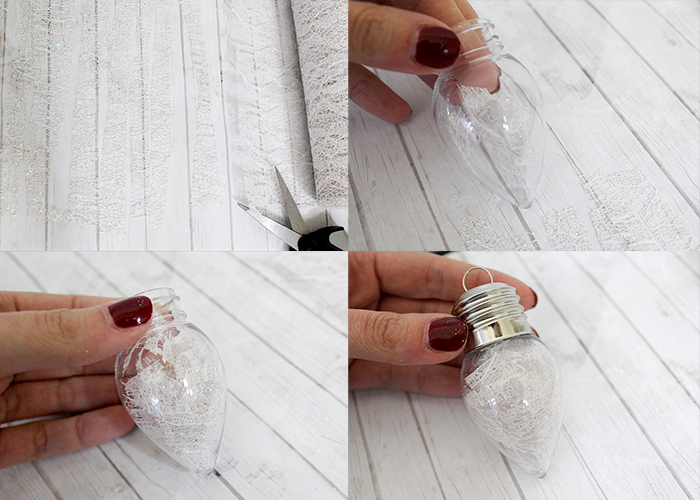 Place the strips inside the bulb until it’s full, but not stuffed. 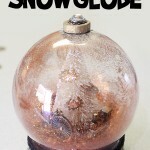 Packing it loosely allows the light to bounce off the glitter and create a pretty effect. Screw the cap back on and squeeze the hanger loop together to pop it back inside. Make as many as you’d like. 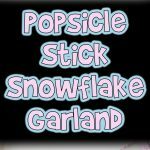 I’d suggest 6 for a small garland, and 10-12 for a longer one. 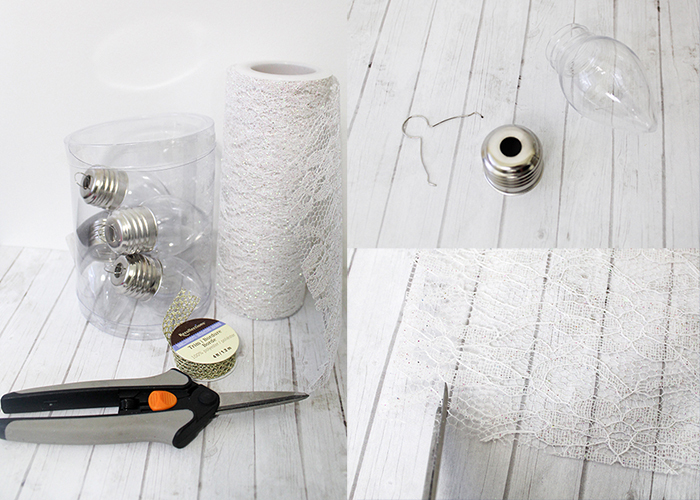 To create the garland, cut a piece of ribbon long enough to fit all your bulbs on, with 6 inches at each end and 4 inches in between each bulb. For a 6 bulb garland, you would need approximately 30 inches of ribbon. Starting 6 inches in, tie your first bulb to the ribbon. Move down 4 inches, and tie on your next one. Continue down until you’ve used all your bulbs! And you’re all finished! This garland can be done with lace and velvet ribbon for a vintage look, burlap and twine for a rustic finish, or tinsel and red ribbon for a classic Christmas design. 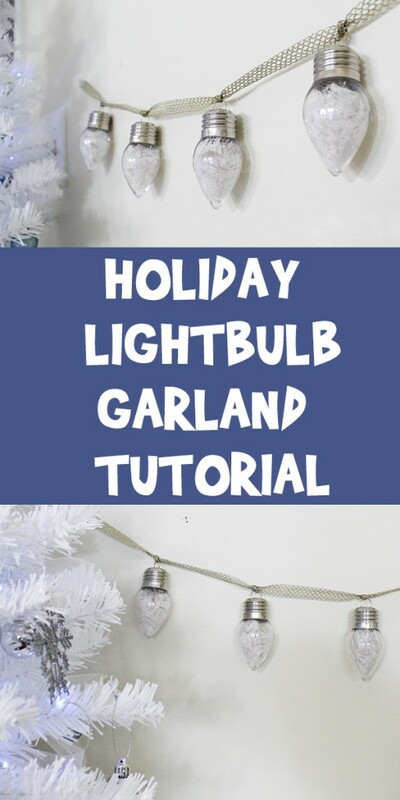 Have fun creating your holiday lightbulb garland!